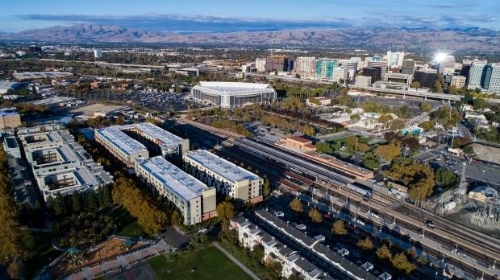 Last year San Jose City entered into an exclusive negotiating agreement with Google to build a new campus in the city's downtown corridor. The development is expected to create 6 million to 8 million square feet of office space that will house at least 20,000 workers. For low-income people living in and around San Jose, displacement is all but guaranteed unless preventive measures are put into place. Earlier this year, San Jose City Council organized the Station Area Advisory Group, comprised of nearly 40 companies, neighborhood associations, individuals and non-profit organizations tasked with gathering and processing community input on the project, as well as other development in the Diridon Station Area. As the only legal services provider invited to join the group, the Law Foundation is advocating for measures aimed at protecting low-income residents. "After learning of Google's plans, we knew how important it was for the Law Foundation to advocate for equitable development in the Diridon corridor, meaning development where everyone has access to this incredible opportunity and no one is displaced," said Supervising Attorney Nadia Aziz. "Most clients arrive at our office after they've received an eviction notice because their landlord is looking to cash-in on the housing boom. We are advocating to prevent the notice from being issued in the first place." As part of the SAAG, the Law Foundation has advocated for solutions to the displacement crisis including advocating for affordable housing funding, a set-aside for affordable housing units, stronger tenant protections, and funding for relocation, emergency assistance and legal assistance for people who are displaced. Older PostQ&A with Law Foundation Senior Attorney Kate Manning, Esq.